There’s still quite a bit to go, but Abbey was kind enough to post an in-progress shot of her mermaid backpiece on F-Yeah, Tattoos! Tumblr is an interesting social networking/blogging site, and the photo has about 790 likes and reblogs. Thanks, Abbey! Inkbase is a platform (still in beta, but so far so good!) made for tattoo artists, studios and people who are interested in tattoos. 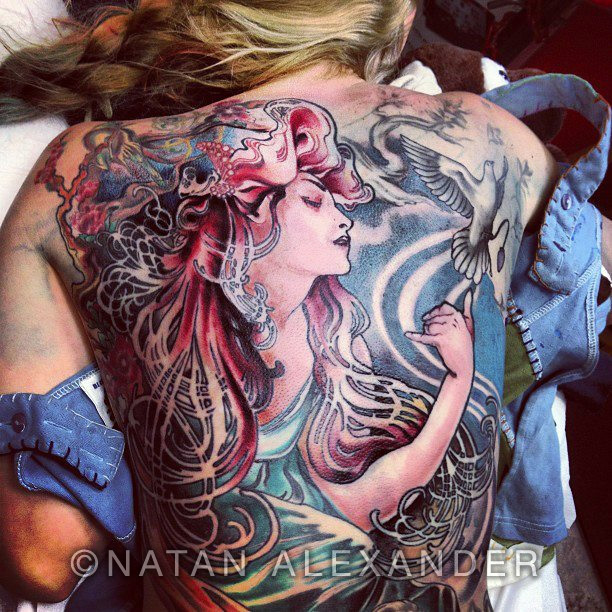 Artists and studios can post their work, while tattoo collectors can search for artists, studios, and inspiration. 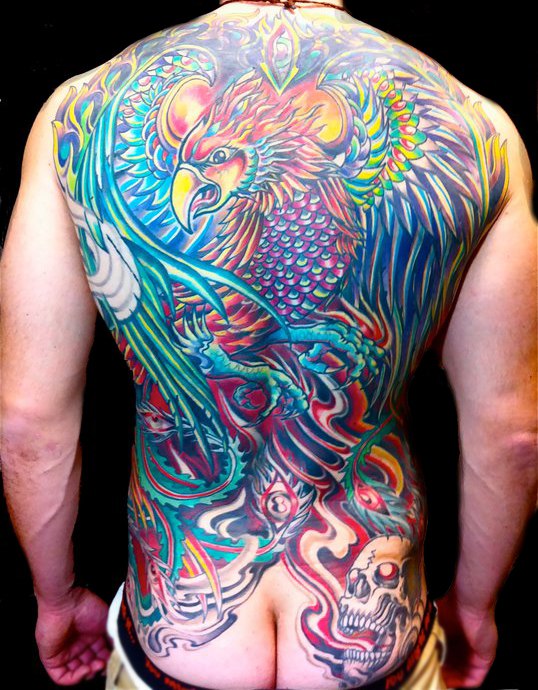 This phoenix back piece always seems to end up being a favorite, and also a recognizable image. 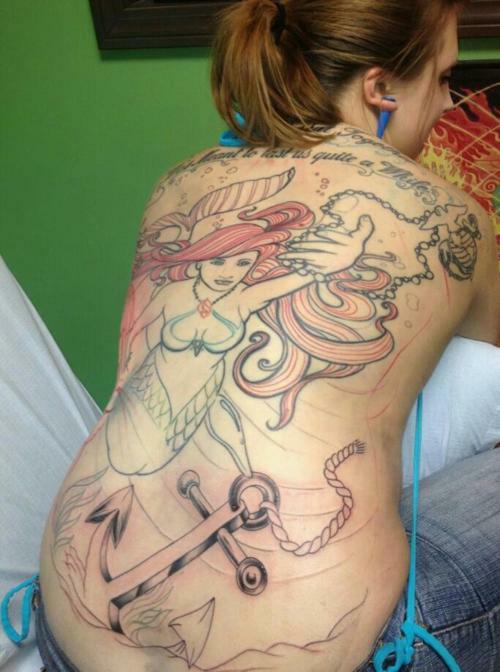 The kind folk at Inkbase seem to think it’s pretty good too, because they’ve made it the tattoo of the week. Thanks, Inkbase! You can find Witch City Ink on Inkbase here, and Lightwave Tattoo right here. Sunday was no day of rest, but sometimes going in to work for the purpose of tattooing a friend is worth cutting a weekend in half for. 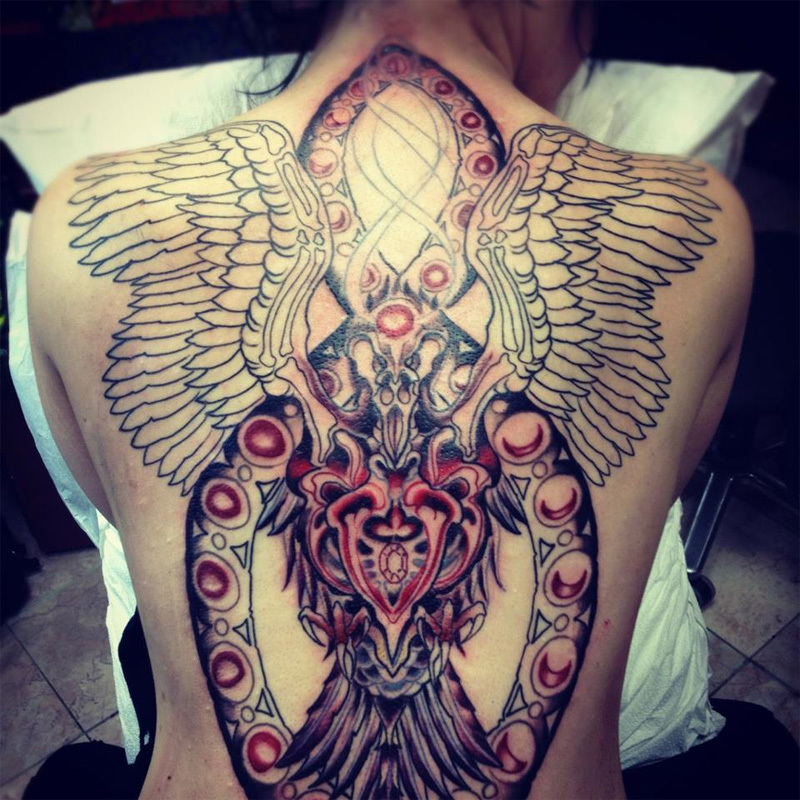 This is the result of the second session of a back piece on Sarah, who is another client who traveled a considerable distance to be tattooed, and who also has a job to be envied (hint: it involves Alex Grey) along with plenty of interesting stories. She’s an all around cool lady, and it is always a treat to have her at Witch City Ink.